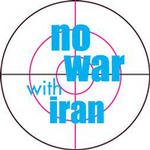 Is Bush planning war on Iran? The Sunday Times of London is reporting that the Pentagon has plans for three days of massive air strikes against 1,200 targets in Iran. Bush’s WMD-hyping against Iran is déjà vu in the run-up to Operation Iraqi Disaster, where he played loose and fast with the truth about Iraq’s alleged WMDs. His statement that a nuclear Iran could put the region “under the shadow of a nuclear holocaust” conjures up his images of a “mushroom cloud” in the hype-up to Iraq. In 2003, when ElBaradei reported there was no evidence that Iraq was reconstituting its nuclear program, and as Saddam Hussein became more cooperative with the weapons inspector, Bush became “infuriated,” according to journalist Bob Woodward. Our military spending has reached $1 billion every two and half days and we are borrowing $2.5 billion per day. Bush is mortgaging our children’s future security and wealth. We have lost more than 3,700 soldiers in Iraq and hundreds of thousands of Iraqis have died. It’s up to the U.S. people to stop it. Marjorie Cohn is a professor at Thomas Jefferson School of Law and president of the National Lawyers Guild. She is the author of “Cowboy Republic: Six Ways the Bush Gang Has Defied the Law.” This is an abridged version of an article that appears at her web site .